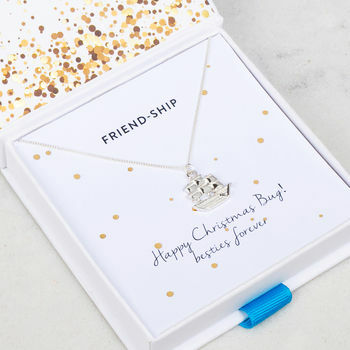 Perfect for your best mate! Engravable 'friend-ship' sailboat necklace in a choice of finish presented on a personalised card in a luxurious ribboned gift-box. 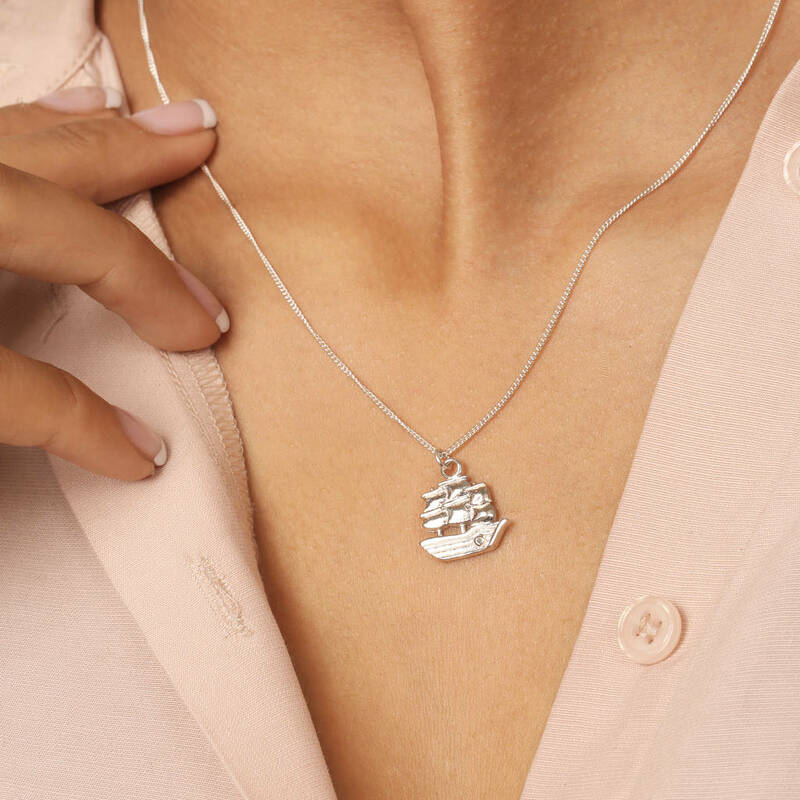 The sailboat is the perfect symbol of adventure, travel and lifes journeys, all things you share with your best friends! 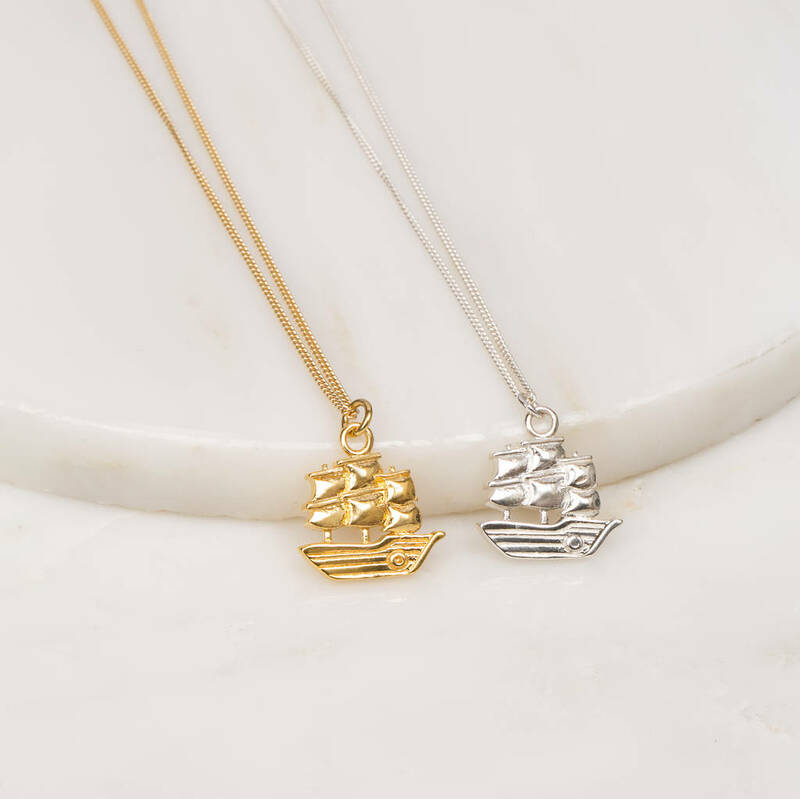 This sailboat 'Friend-Ship' necklace (see what we did there? ), is a great gift which will be treasured for years to come. 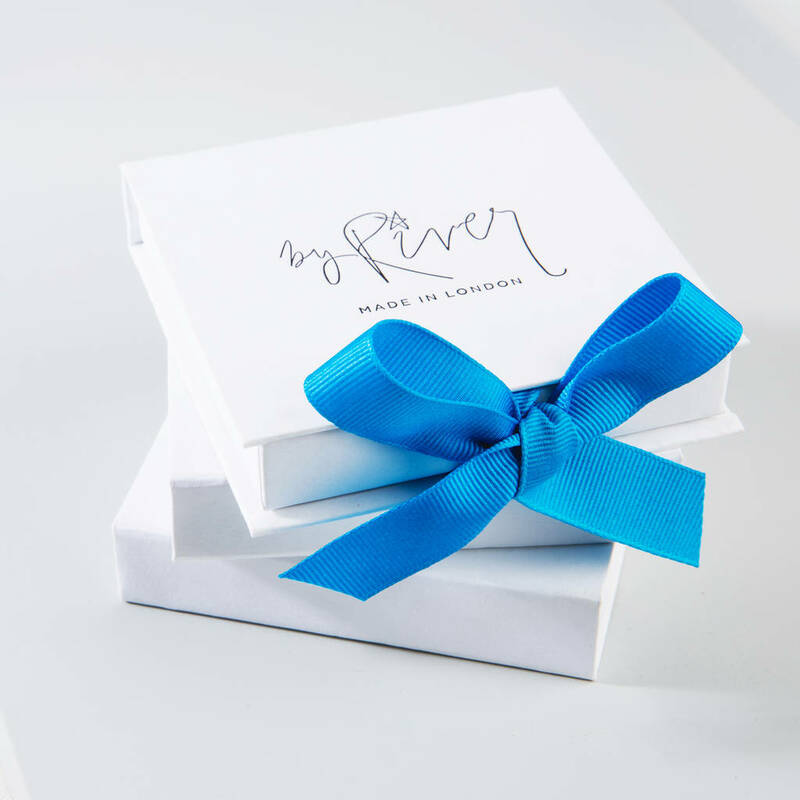 Available in 3 different metal finishes, we can engrave up to 6 letters on the back, and also personalise the presentation card in the box. Please enter your message for the personalised card when placing your order. 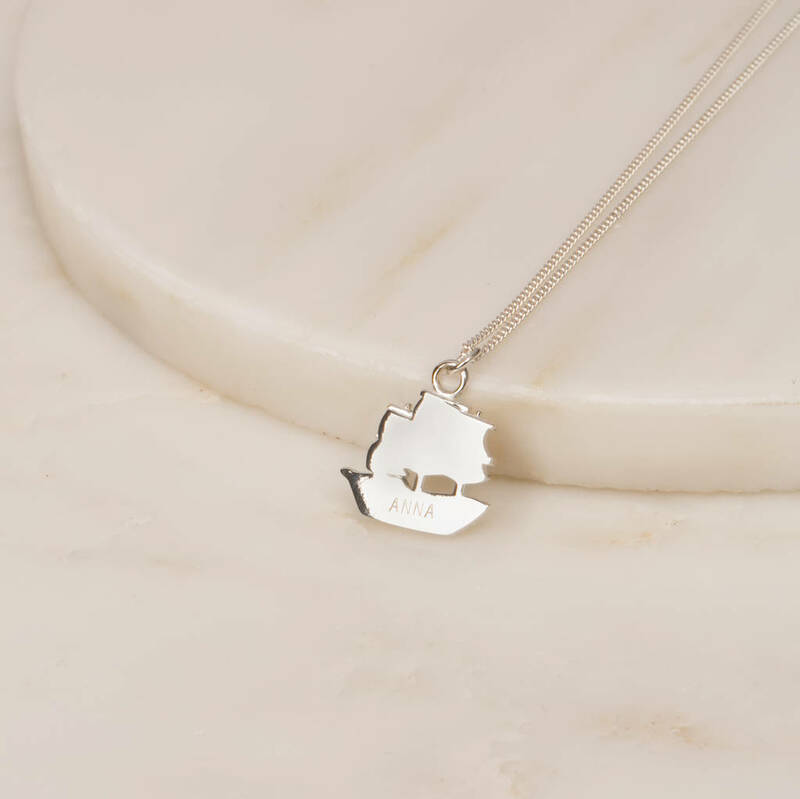 Sterling silver or 22 carat gold plate on sterling silver.